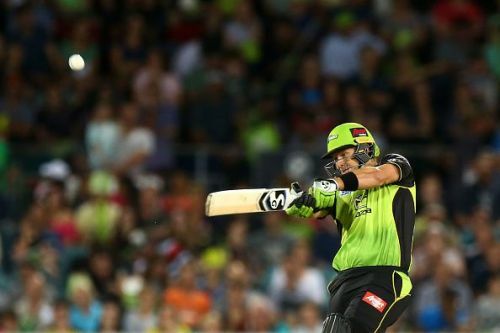 Former Australia all-rounder Shane Watson, who turned 37 this month, is set to play the Big Bash for at least two more seasons, after signing a new contract extension with the Sydney Thunder. Watson will also play for the first-grade tournament of Sydney Grade Cricket, now called the NSW Premier Cricket, ahead of the Big Bash season. Last year, in October, Watson had scored a record-breaking 184 against St George in the same tournament. "Part of Sydney Thunder is developing the next generation of Australian cricketers. We've got a lot of young talent, and the squad will be younger next season. The beauty of playing (NSW Premier Cricket) means I can continue to help out and get to know the guys before the week leading into the first game", Watson was quoted as saying, according to Cricbuzz. While he retired from international cricket in 2016, Watson hasn't shied away from playing T20 cricket for multiple franchises across the world. He recently starred for Chennai Super Kings in the Indian Premier League, bagging the Man of the Match award in the finals against the Sunrisers Hyderabad after scoring his second century of the season. He finished with 555 runs in 15 games, at an average of 40, and six wickets in total. Overall, Watson has played 28 games in the Big Bash, over four seasons, scoring 714 runs and picking up 20 wickets, with best figures of 3-13. Watson signed for Thunder in 2015 and was subsequently became the franchise's captain. Recently, Watson had urged Cricket Australia, who had handed out one-year bans to tainted cricketers Steve Smith and David Warner, to allow them to play in the Big Bash. Currently, the duo is in Canada, playing the inaugural edition of the Global Canada T20 league.